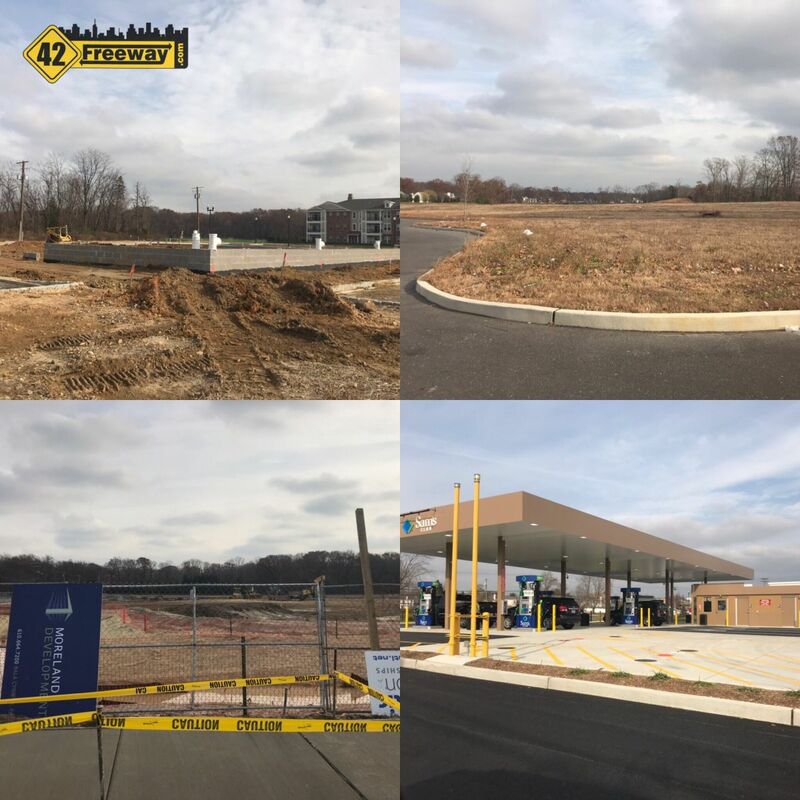 Nothing stirs up the readers of 42Freeway more than actual new construction starting, and while I took a little unplanned posting break the last few weeks… the construction going on in front of the Acme on CrossKeys Road has quickly stirred into becoming my most requested topic! 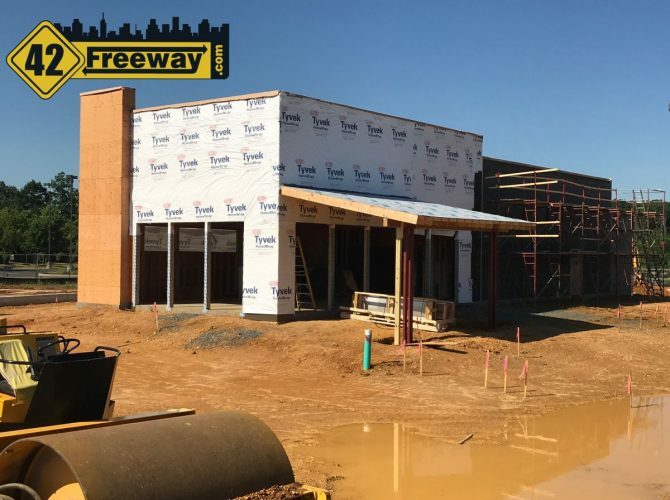 The 42Freeway extra spin on this Taco Bell, is according to Township planning minutes last fall, this will be the “Explorer” model which seems to be one of 4 new Taco Bell designs they rolled out last year to reinvigorate the dining experience. It’s slightly confusing when looking at the in-process construction, in that while it does have the shape of the newer Taco Bells, it has a large outdoor patio awning which isn’t really seen in the Taco Bell’s around here. 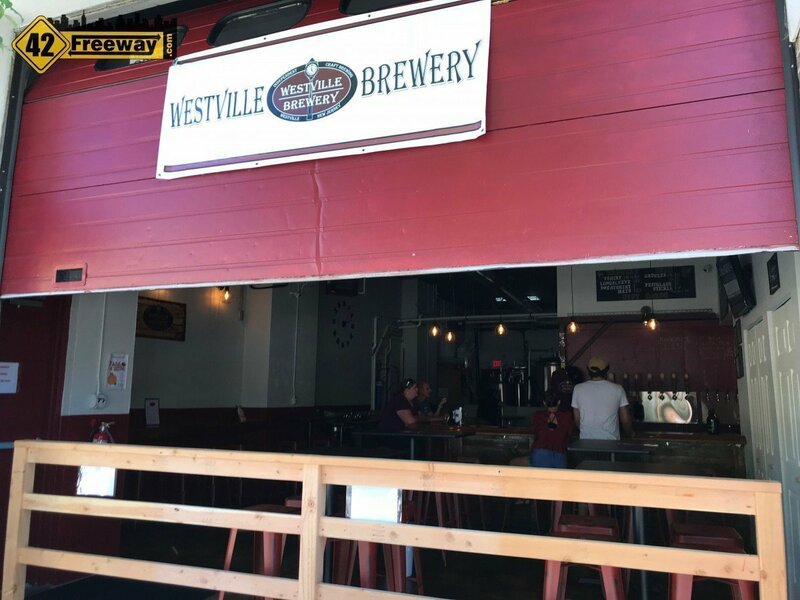 Photos found online show some of the newer models featuring outdoor seating, and its unclear if this larger patio roof is just to frame the entrance or if they will be offering covered outdoor seating. 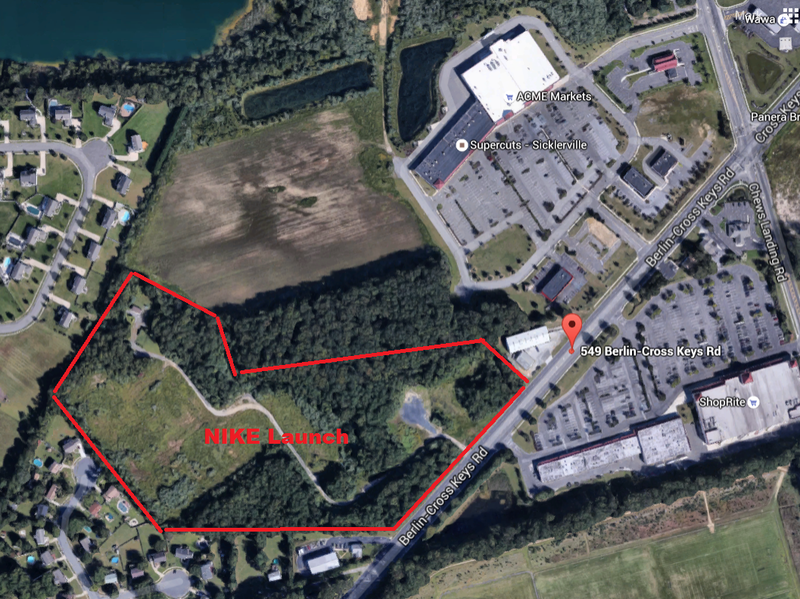 Taco Bell has opened several new locations in our area the last few years, with Mt Ephraim and Blackwood Clementon Road getting the large purple stores, and Deptford’s remodel and expansion still holds some of the Southwestern charm. 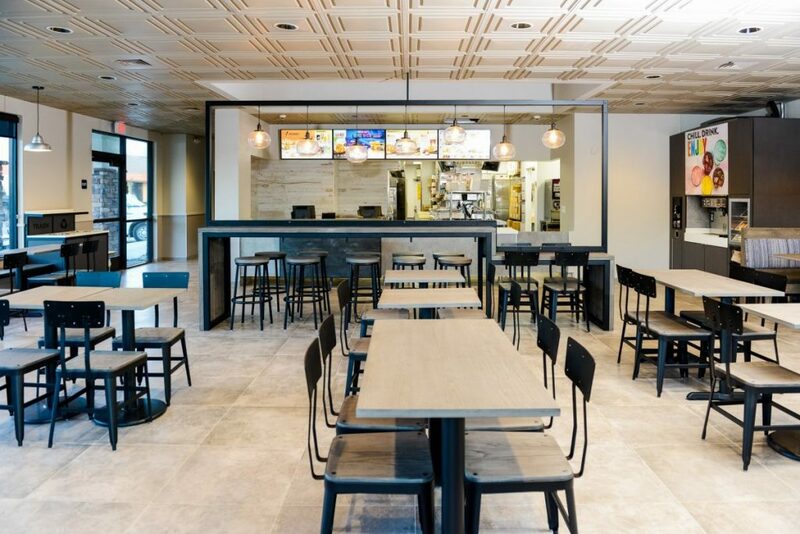 With a variety of looks and styles its clear that Taco Bell has moved way beyond the small southwest “mission” style stores that we all remember from when they first flooded the market some 35 years ago. Image below is the interior of the Taco Bell Modern Explorer model. The Gloucester Township location rendering above calls the new location “Explorer” so its not entirely clear if this interior is what will be going in at Cross Keys Road.